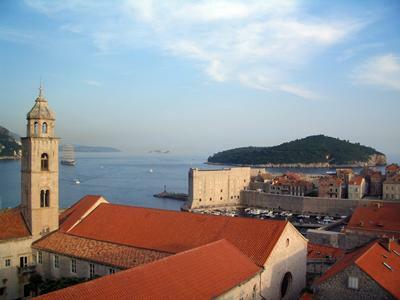 The eastern part of the city is where the Dominican monastery complex is found, representing one of the richest treasure-stores of Dubrovnik's cultural heritage. The interior of the church features a wealth of stone church furniture, a pulpit and Renaissance niches. The monastery has a library with more than 220 incunabula, as well as a very diverse archive housing valuable manuscripts and documents. There is also a diverse art collection.